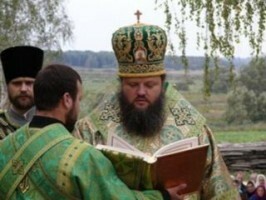 On July 5, 2014, His Beatitude, Metropolitan Vladimir of Kiev and All Ukraine, head of the Ukrainian Orthodox Church (Moscow Patriarchate) reposed in the Lord. 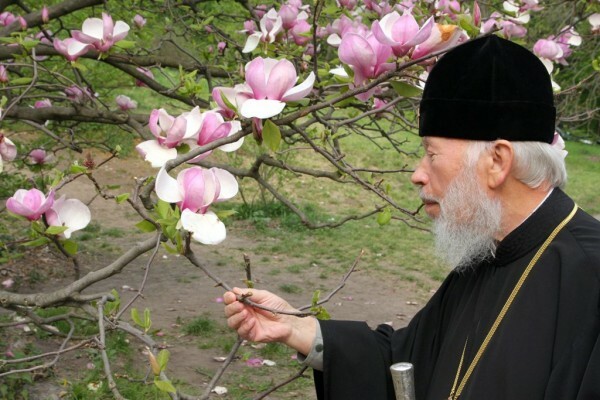 In his memory we will offer five brief tributes ­ – one each day – by fellow hierarchs of the Ukrainian Church. All my life I’ll remember the warmth of the hands of His Beatitude, Metropolitan Vladimir, which he laid on my head during my episcopal consecration. The feeling that I experienced cannot be compared with anything else; there has never been anything like it in my life. It astonishes me how simply and easily His Beatitude communicates with people, regardless of their rank. Correct and laconic, in a few words he can express the essence of the most difficult problem and get straight to the point. He is very observant: he can describe a person or event in two or three words. His Blessedness has a very developed sense of humor; he likes to joke and appreciates good jokes. He is an intellectual aristocrat of the first order. With Vladyka everything is always simple and easy, even if you are walking with him in silence. He always emits an unusual warmth, and even if he points out flaws, he does it straight and directly.